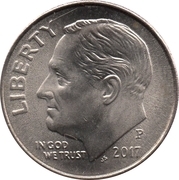 The portrait in left profile of Franklin D. Roosevelt, the 32nd President of the United States from 1933 to his death in 1945, accompanied with the motto: "IN GOD WE TRUST" and surrounded with the lettering "LIBERTY". 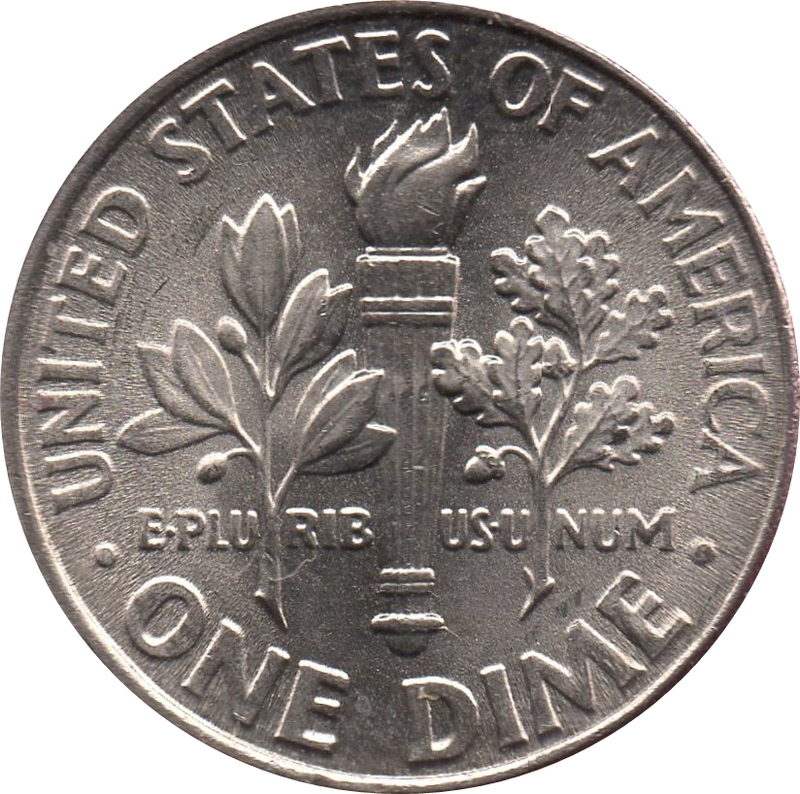 NOTE: different mint varieties exist. 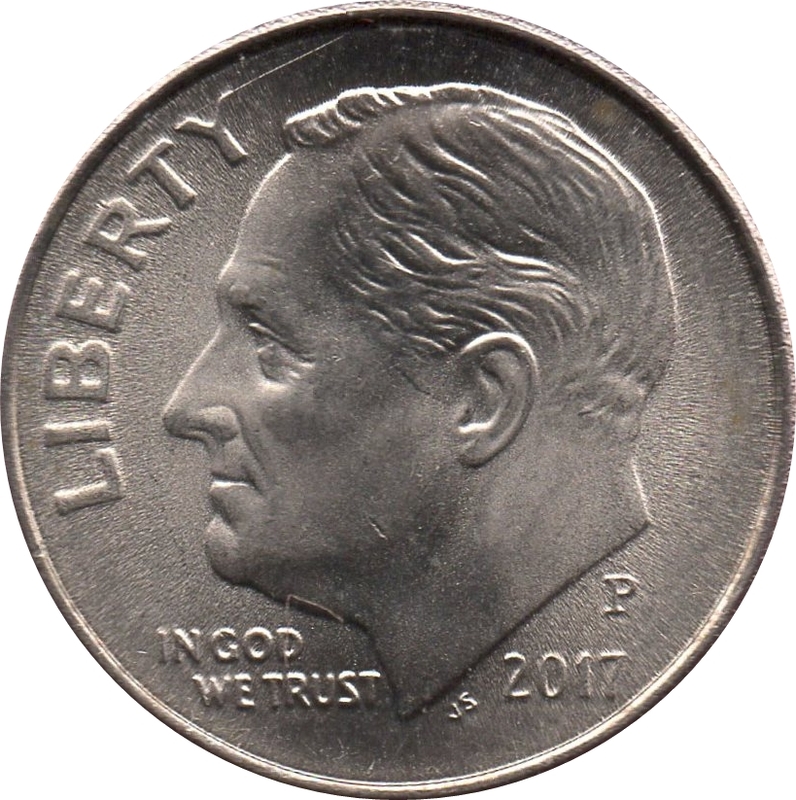 NOTE: Type II Proofs have a clearer mintmark than Type I Proofs. 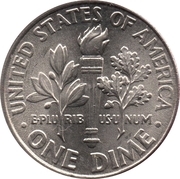 Catalog › United States › 1 Dime "Roosevelt Dime"